Peter Jackson and the “Hobbit” producers distanced themselves Monday from reports about the deaths of up to 27 animals involved in the production, stressing that none was harmed during filming and pointing out that the filmmakers spent “hundreds of thousands of dollars” to improve conditions at the farm near Wellington, New Zealand. The AHA verified that animals were treated well while on location but issued a statement later in the day saying that its rigorous on-set oversight was no longer adequate. Four animal wranglers told the Associated Press that the farm near the “Hobbit” shoot contained bluffs, sinkholes and broken-down fencing that caused three horses to suffer grave injuries, including a miniature that was slated to carry a hobbit in the movie. Six goats and six sheep were also said to have died after falling, contracting worms or reacting to new feed; chickens left out of their enclosures were reportedly mauled by dogs. The wranglers said the facility — which was a working farm long before lensing began — continued to be used after they raised concerns with superiors and the production company. But the company on Monday roundly denied any culpability. Some of the animals were brought to stay at the farm for use in the film; others were already living there before crews arrived. Jackson is producing the films with Zane Weiner, Carolynne Cunningham and Fran Walsh; exec producers are Alan Horn, Toby Emmerich, Ken Kamins and Carolyn Blackwood. The American Humane Assn., the donation-supported nonprofit that has been monitoring on-set animal welfare since 1940, took the extraordinary step of investigating the farm in November 2011 at the production company’s request. It made a series of recommendations to bring the farm up to the standard of on-set animal housing, improvements it said the production company made. Any productions involved with SAG/AFTRA contracts and utilizing animal actors come under AHA oversight. Independent and other non-union productions will sometimes bring in the org’s regulators in order to earn its seal of approval. 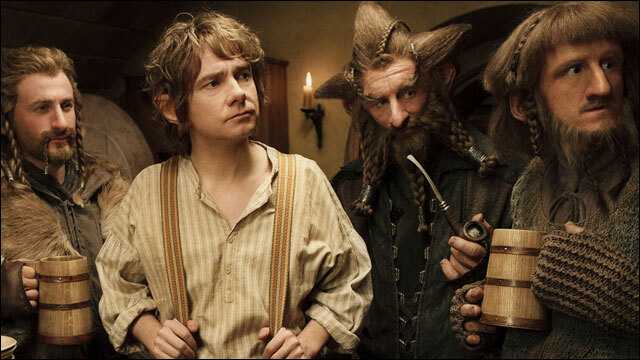 “Hobbit” producers also pointed out that more than half the animals seen in “The Hobbit” are computer-generated. Still, People for the Ethical Treatment of Animals told the AP that it’s planning protests at the Nov. 28 premiere in New Zealand, as well as at its U.S. and U.K. preems. The treatment of animals became a front-and-center issue in March, when HBO canceled the horse racing series “Luck” after three thoroughbreds died during production. The network said it canceled the show because it could not guarantee against future accidents. “The Hobbit” is the second Warner Bros. tentpole this year dealt a PR setback after the shootings in Aurora, Colo., this summer during a latenight screening of “The Dark Knight Rises”; that incident forced the studio to push back release of “Gangster Squad” because of a scene depicting a movie theater shooting.